Ushanka's Zhukov visits the Red Square statue of Stalin's Zhukov. Stalin reluctantly allowed Zhukov to ride a horse in the parade following the Great Patriotic War victory. 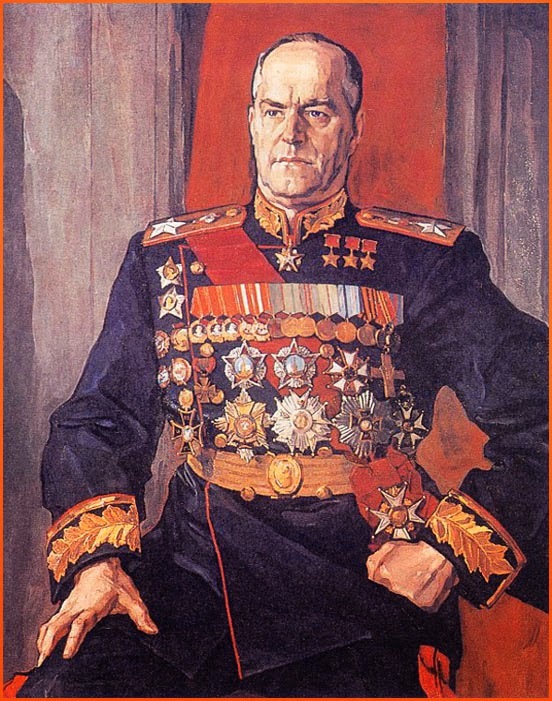 Zhukov was a tolerated general who was demoted twice in his career, lest he get a big head and decide to be Russia's next ruler. A week after Operation Barbarossa, Stalin emerged from hiding when he realized he wasn't going to be executed for signing the bogus Secret Pact with Hitler and then failing to act on all the intelligence preceding the June 1941 invasion. 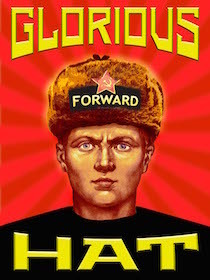 Knowing he screwed up in epic form, Stalin did the one thing that saved the Soviet Union. Something that went against his, and all tyrants', nature. He deferred to his senior general, General Zhukov, in all military planning. They won, with only 25 million civilian and military dead.